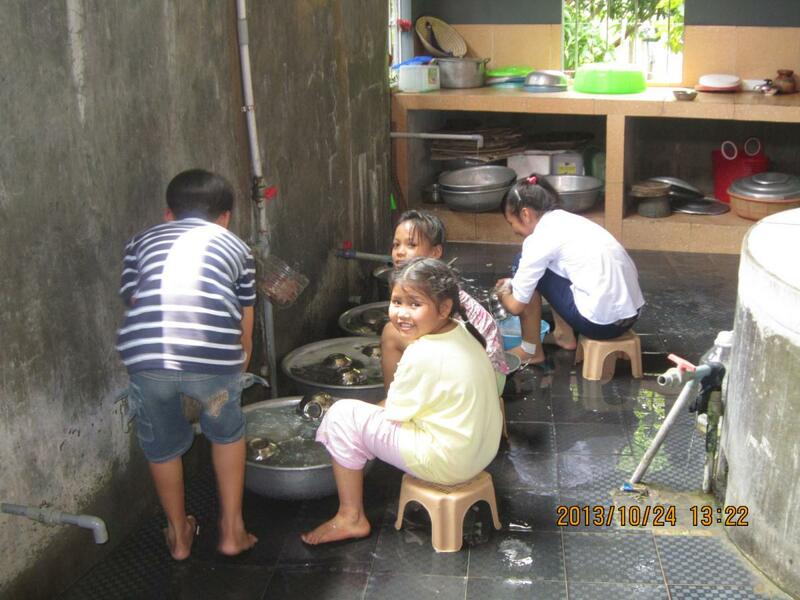 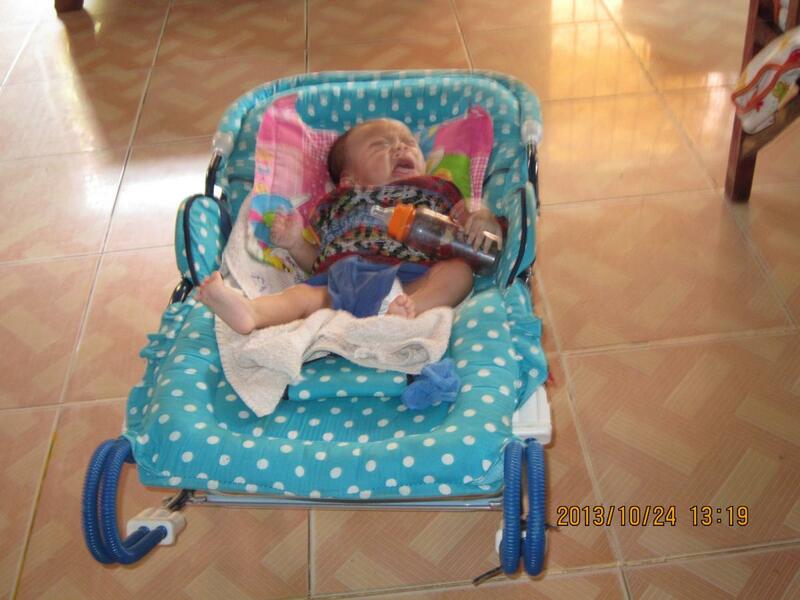 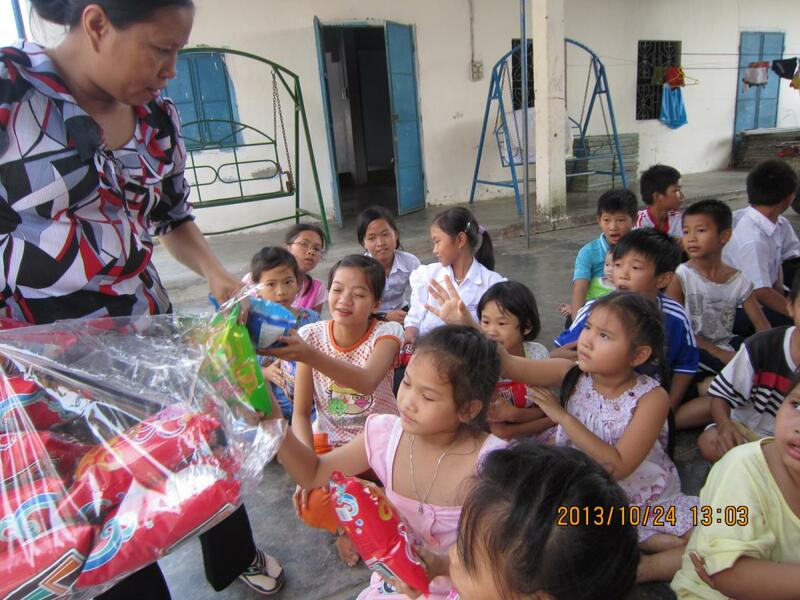 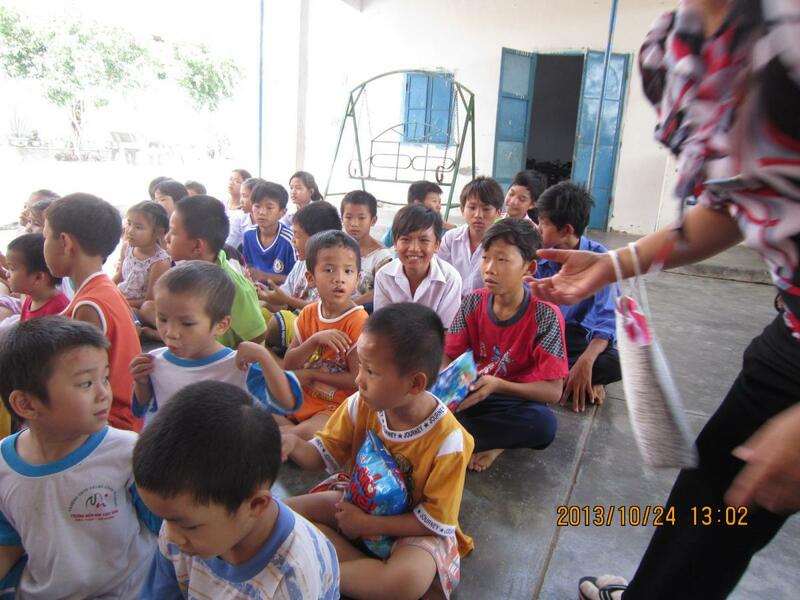 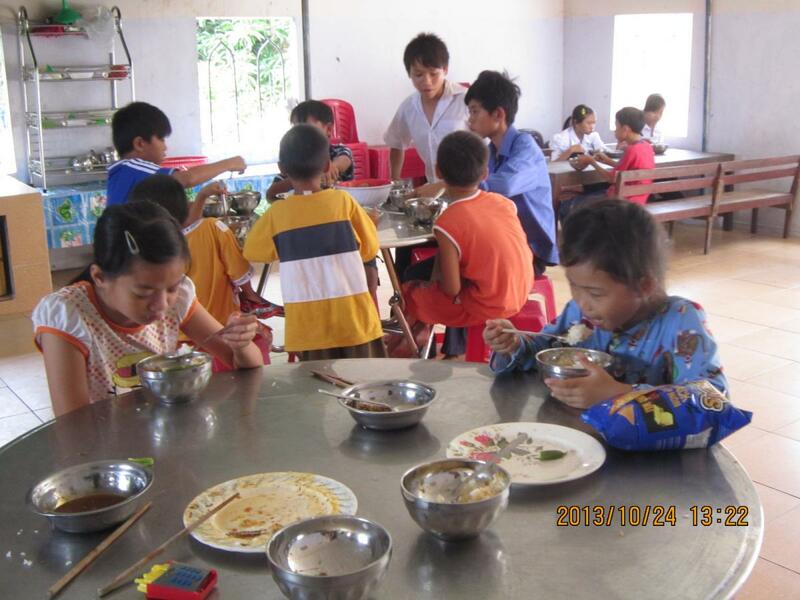 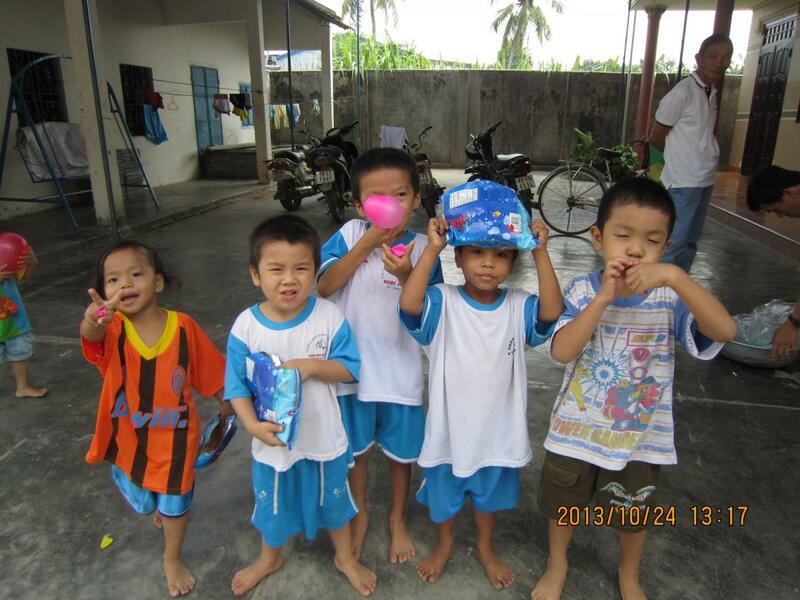 On October 24, 2013 we visited the Mai Am Anh Dao Orphanage with school fees. 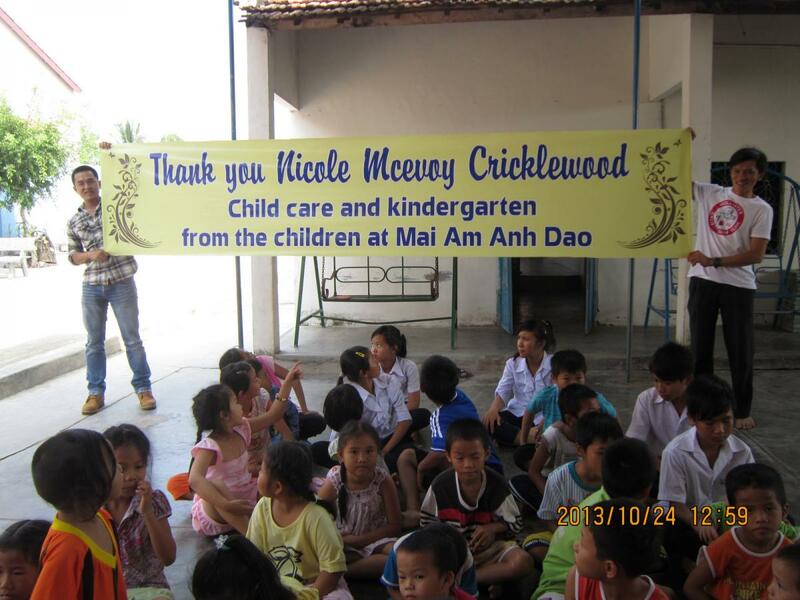 Nicole McAvoy of the Cricklewood Child Care & Kindergarten in Australia made a substantial donation that paid for all of the school fees for the orphans. 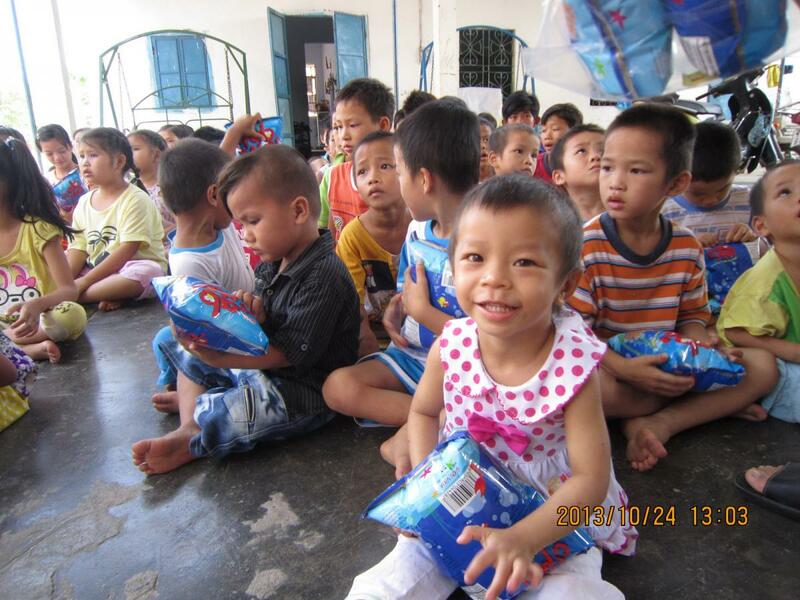 It was an amazing act of charity on Nicole’s part! 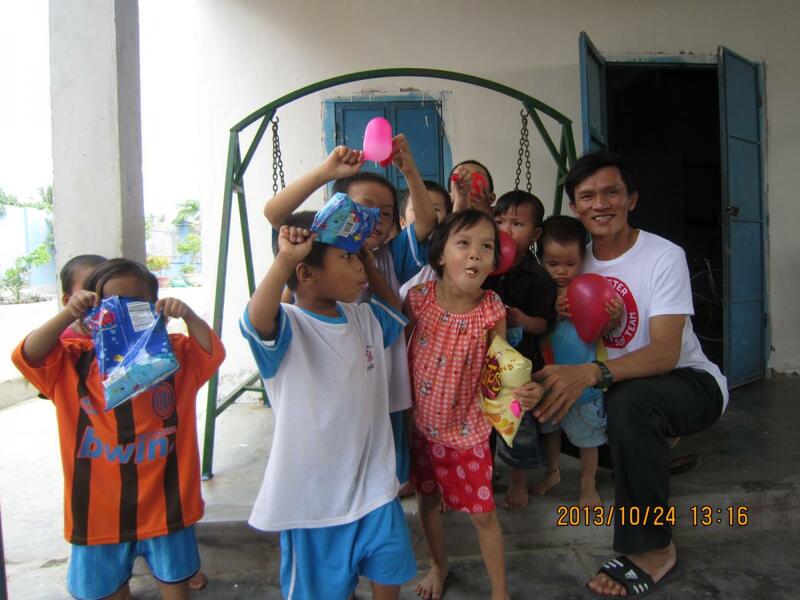 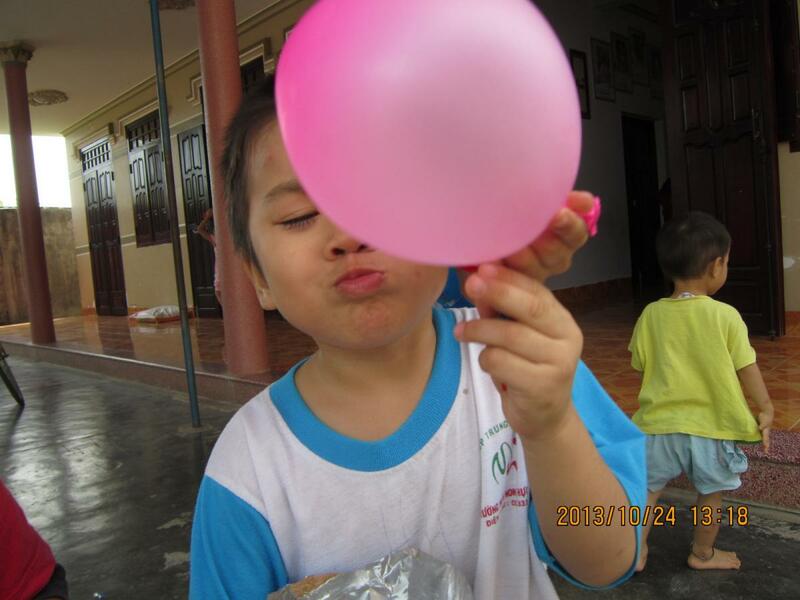 Our lead coordinator Ngoc drove up to the orphanage with snacks and balloons. 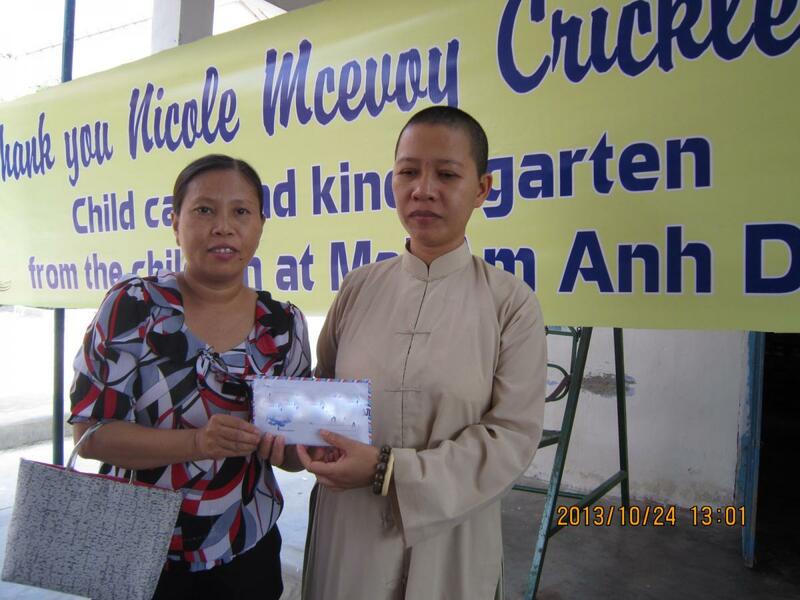 She presented Sister An Son with Nicole’s gift, ensuring the children will be able to attend school for the 2013-2014 term. 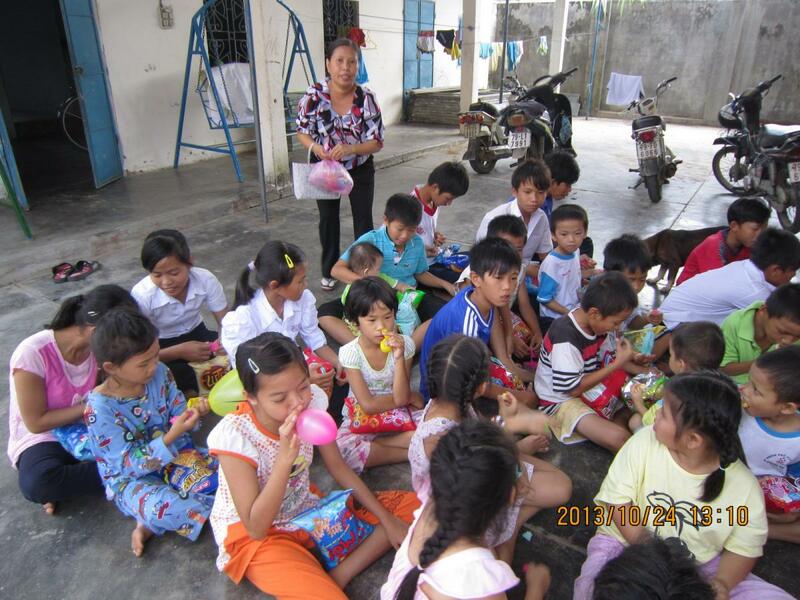 The gift pays for the school fees, cost of uniforms, school books, and supplies for all of the primary, secondary, and high school students. 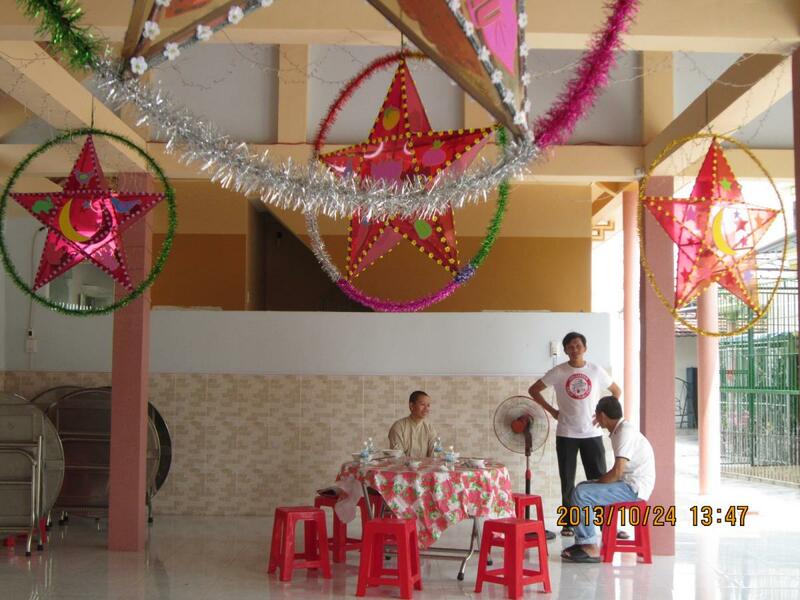 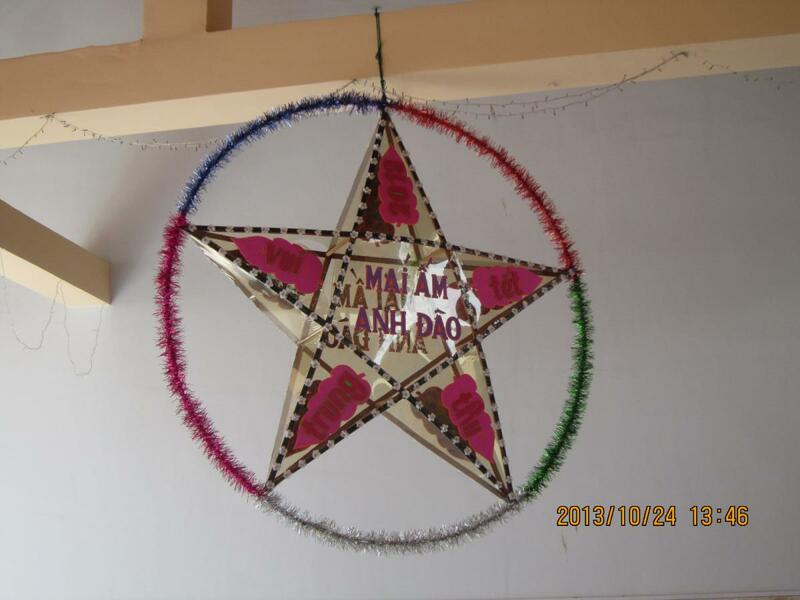 Our volunteers stayed for lunch, and had the chance to admire the decorations that the children had made for the orphanage.